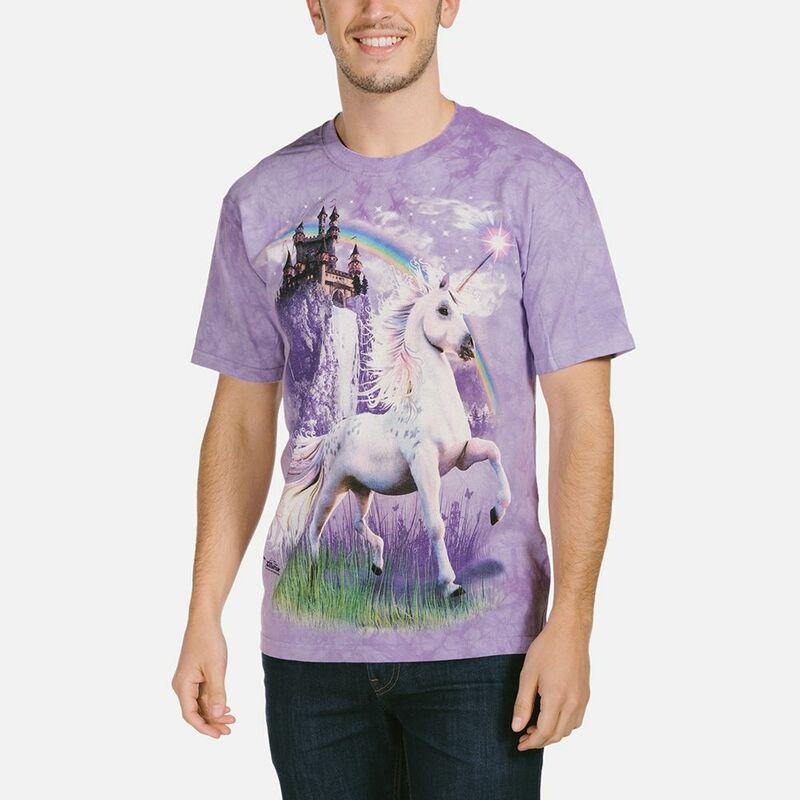 This unicorn t-shirt features an enchanting image of a unicorn standing in front of a castle high above a waterfall with a rainbow. 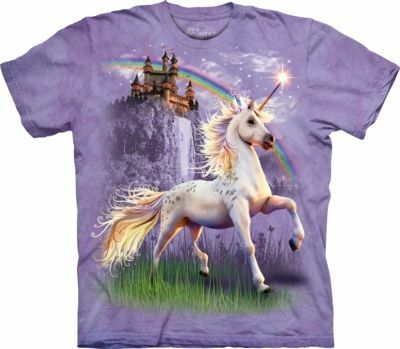 Unicorn castle is a fantasy design by David Penfound and with it's classic fit is suitable for men and women. Artist Corner: David Penfound is a UK artist and one of our most popular. His works range from animals to fantasy and can be found all over our t-shirts, apparel & giftware. David's realistic and stunning artwork has been used on television and film. Awesome! I really love it, the print is so nice and the fabric is soft :) The only thing is that it's bigger than I thought, but I love baggy t-shirts so it's okay.